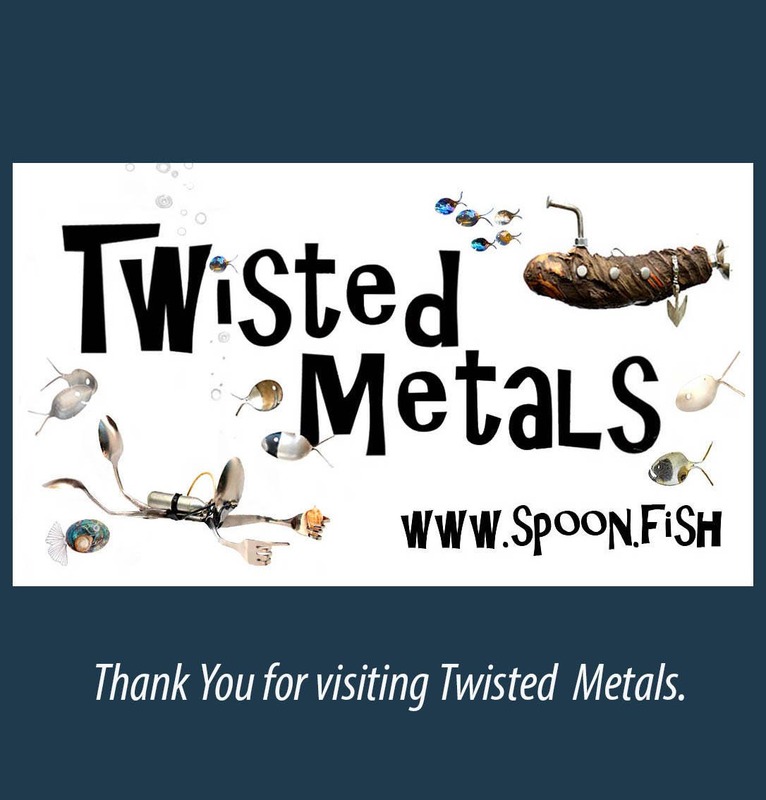 Welcome to Twisted Metals home of the original spoon fish wind chimes. 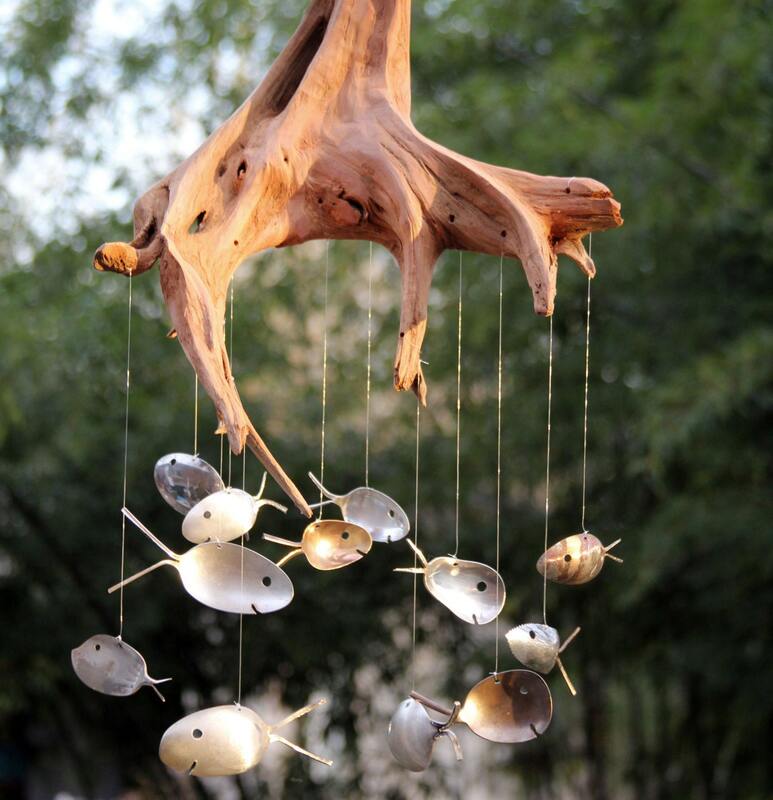 These EXTRA LARGE strong, mostly cedar driftwood stumps make an extraordinary display piece. 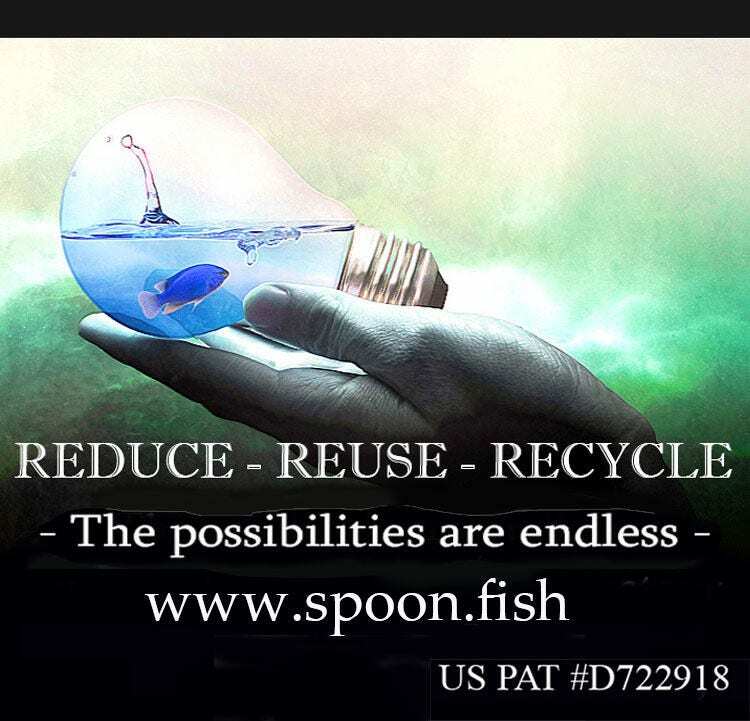 - Comes with 18+ delightful & varied Spoon Fish. 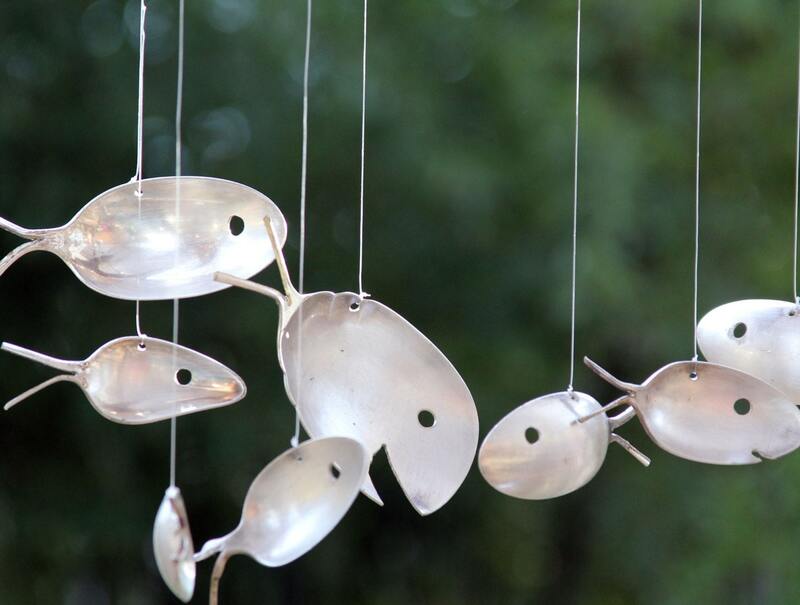 These fish are up cycled from antique & vintage silver plated utensils dating back as early as 1847. 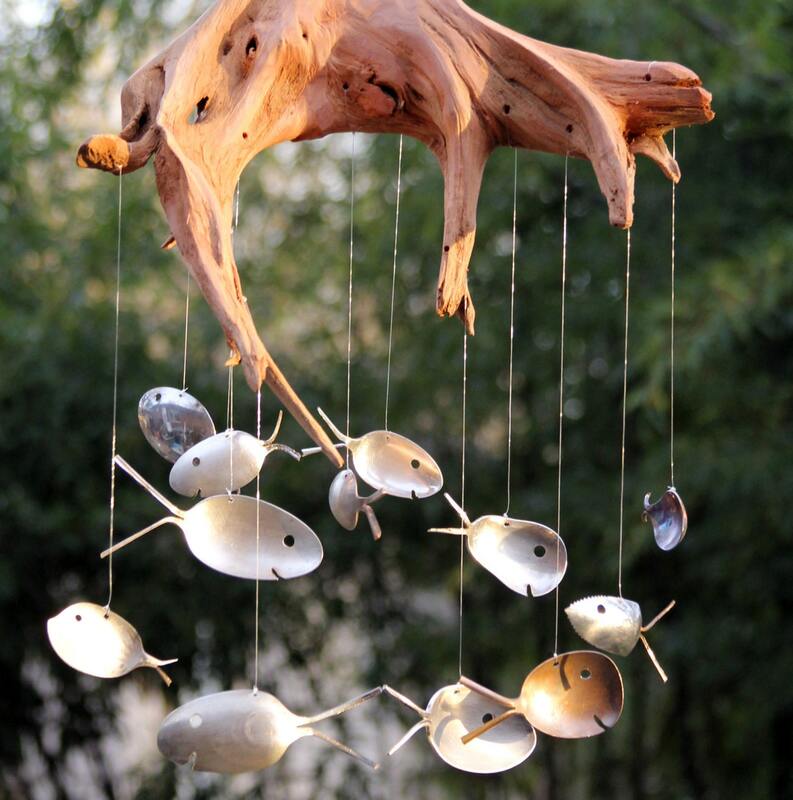 The plentiful & delightfully fish swim beneath a piece of natural driftwood are sure to please all who see. All fish are strung upon a spider wire, a very durable fishing line. Suited for both indoor & outdoor use. 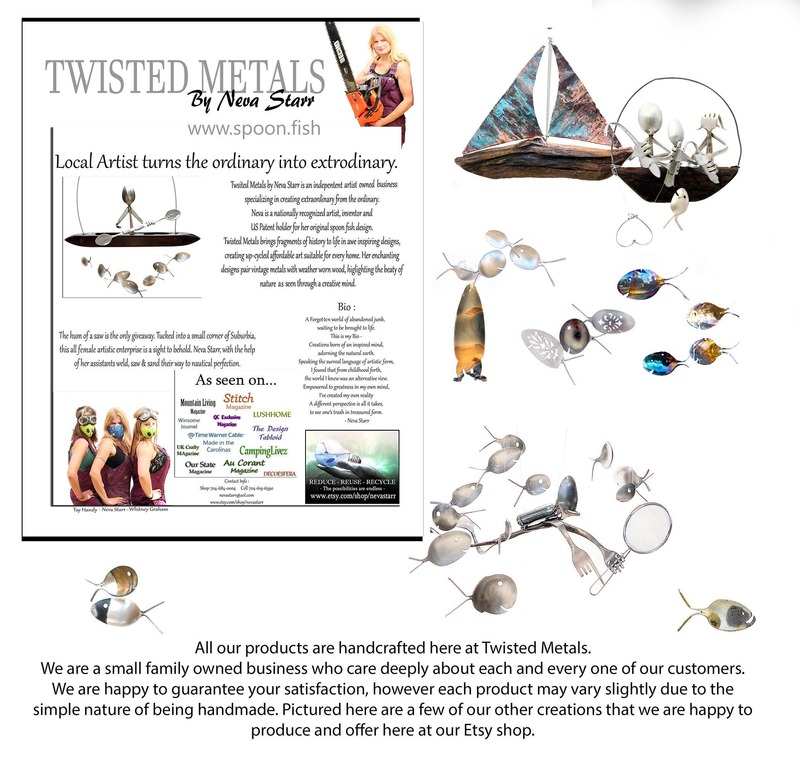 The wonderful Silver-plated fish will age to golden patina over time, if a more polished look is desired fish may be gently scrubbed with the included polishing pad. 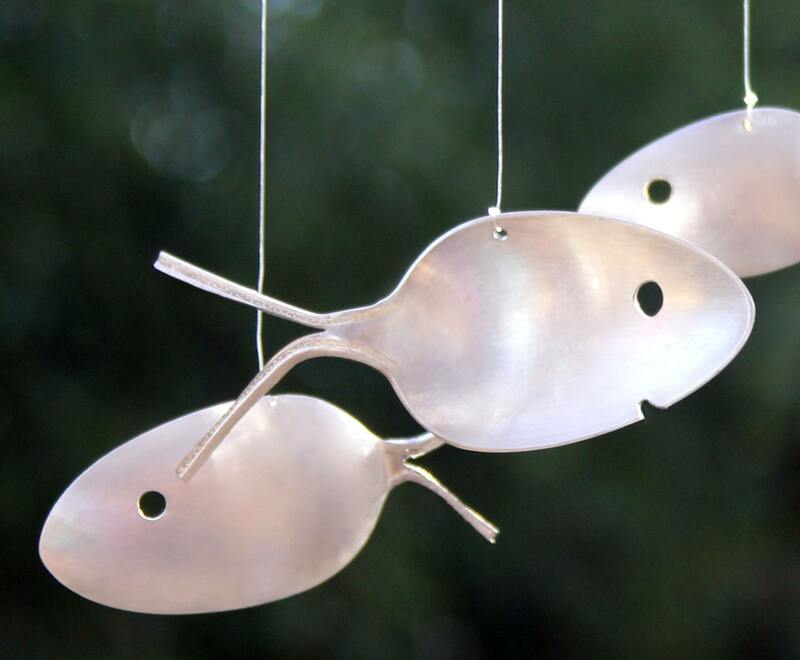 Each of these wind chimes comes with an easy care packet.